400 pounds of tomatoes is a lot of tomatoes. Even when you try and purchase them ripe, they always need to ripen more. They were picked up on Tuesday, and I started canning some of them Saturday, but they could have used more time. On Sunday I made 34 jars of salsa. I probably shouldn't have thrown the scotch bonnets into the mix, but my family is always complaining that it isn't hot enough. Today, we will be turning 180 pounds into tomato juice. I probably won't get around to respond to everyone's posts till later on in the day, and maybe not even until later on in the week. On Tuesday I will make tomato sauce with the 100 pounds of romas. It will all be worth it, but right now I'm almost too tired to read. Delightful. Magical. Heartwarming. This almost wordless book shows a boy and a girl becoming friends while working together to build a tree house. 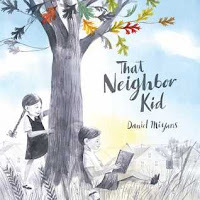 This sweet and somewhat humorous picture book is delightful. I was told many of these stories about where babies come from when I was a child, including that children were picked from cabbage patches. I guess a turnip patch is similar. Still, it's the illustrations that make this book for me. It's where all the humor comes from and that bear is just adorable! This book is as good if not better than everyone says it is. These beautiful illustrations just grab my heart. The relationship between the father and son squeeze all kinds of love into it. This is a must purchase for all libraries. Morris might be smaller than his brother moles, but he also happens to be smarter. It's a good thing for them because when Morris heads off on his own, not only does he find food, he finds friendship. I really need to read more Dan Yaccarino. This book is set up like Chin's Redwoods. 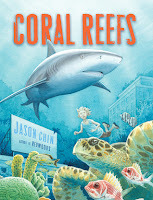 In this one a young girl in a library begins to read a book about coral reefs and ends up transported into one. 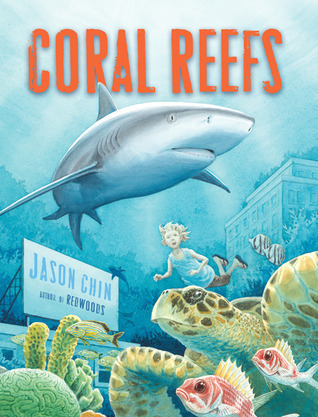 The book is full of information about the different kinds of coral and the many animals that make their home on the reefs. The back matter contains additional information about how coral reefs are threatened, and detailed information about the symbiotic partnership between coral and algae. I also appreciate the author's note where he writes about the research he went through and provides a list of books and websites he used. This is an imagined story of George Crum, a renowned chef of mixed Native American and African American descent, and how he invented potato chips. I've misplaced my notes on this netgalley title, so I'll have to go and reread it before writing up a more thorough review. I remember that I enjoyed the illustrations! 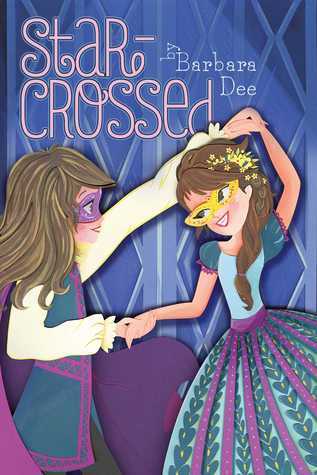 Kudos to Barbara Dee for writing a bisexual character in a book appropriate for elementary school readers. In the midst of a production of Romeo and Juliet, Mattie, a smart grade eight girl, discovers that she doesn't have a crush on Elliott who she has been swooning over for the past year. Instead she has a crush on Gemma, the girl playing Juliet. Mattie's awareness of being bisexual is really not such a big deal here. Sure there is the usual teen age angst about romance, but overall, Mattie's attachment to Gemma and fear of being found out by others seems pretty sensible. This is especially true once Mattie ends up taking on the lead role of Romeo. I appreciate how supportive and matter of fact teachers and other students are about sexual identity. Unfortunately this cover doesn't do this book any justice. The characters look more like they are in grade four than in grade 8. This is very sad, because it's actually a pretty good book. This was almost too creepy for me, but then, I am not a fan of creepy books except in certain circumstances. When a strange woman sells jewelry box to Thelma's father, something doesn't seem right. When her father disappears into that night, Thelma has to set out to rescue him. In the process she learns a lot about herself, her family, and the world around her. This book will appeal to fans of the Serafina series by Robert Beatty. I almost don't know what to say about this book. It is exquisitely written. It's deep, rich and philosophical. It's the story of a girl baby left in the forest by her community. Like the many children before her, she was rescued by an old witch who accidentally enmagicked her. Luna grew up in a loving relationship with the witch, a tiny dragonling, and a bog creature. There is a young man who can't get over the trauma of leaving her there. There is her traumatized mother. And then there is the scheming evil witch who masterminds the abandonment of the children in the first place. 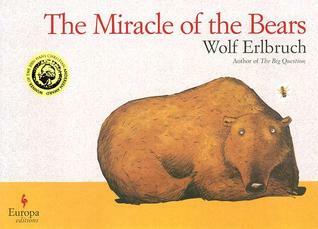 I loved this book, but I'm not sure how much elementary school students will appreciate it. 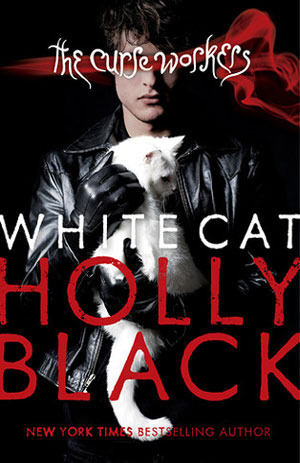 I forget how much I like Holly Black until I read another of her books. Cassel is the youngest in a family of people who are curse workers. They are criminals who each have their own special magical talent. all they have to do is touch someone with their bare hand. Cassel is the only one who doesn't have a talent. Then he starts sleepwalking and having strange dreams. Something weird is going on with his brothers, and it's be up to him to figure it out and fix it. This book made me weep. I wept from the get go. I wept for Saul Indian Horse's missing siblings, for his damaged parents, for his stalwart grandmother. I wept for him and the other children at St Jerome's Residential School. My eyes filled with tears when his hockey teammates told Saul he had to go and play with the big boys and get out - if only so the rest of them could live some of their dreams through him. It was racism, not lack of skill that sabotaged him. I wept when that same racism and secret pain and horror drove him into the bosom of alcohol. While reading of his descent into alcoholism, it's clear that these words come from someone who has been there. I wept when Saul finally understood what he had been skating from. I wept when he returned home to his adopted family. Richard Wagamese could write. I'm so sorry that he is gone. 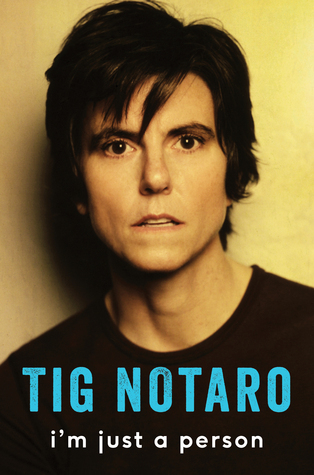 I knew nothing about Tig Notaro before reading this book. She is a comedian who takes us through a horrific year in her life. Imagine dealing with pneumonia, a sinus infection, C. Diff., a romantic break up, her mother's death, and cancer. I'm impressed by her stark uncompromising honesty as much as by her deep wells of compassion and generosity. I'm thankful to my niece, who blogs as Casey the Lesbrarian, for bringing it to my attention. I took a break from reading The Inconvenient Indian while reading Indian Horse. It was just too much. Anyway, I'm back reading that and just started I Believe in a Thing Called Love by Maurene Goo. I'm listening to The Testing by Joelle Charbonneau. I'll be starting The Marrow Thieves by Cherie Dimaline. I also need to finish Midnight Without a Moon by Linda Williams Jackson. I've got a number of audiobooks on hold and am the next in line for many of them. I'm hoping that Libba Bray's Beauty Queens is next. With all the furor over the dumb idea to remake Lord of the Flies with girls, I realized I haven't read it yet. That Neighbor Kid is in my library stack. There is so much to love about Jabari Jumps. Mr. Crum's Potato Predicament sounds interesting. Students always enjoy the story of how potato chips came to be and other stories about how mistakes became popular inventions. Students and lots of adults too! I sure do. I love Jason Chin's work! Wow, so many tomatoes. You must be dreaming in red, Cheriee! I'm glad you liked The Girl Who Drank The Moon, an awesome book! 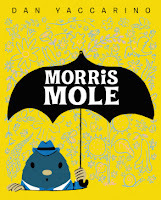 I haven't read Morris Mole yet, and put it on my list. I will also look for Indian Horse. What a sad time in history. Thanks, and best of luck with those tomatoes! Indian Horse is a must read! What a great selection of books, Cheriee! 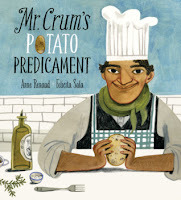 And I can't wait to read Mr. Crum's Potato Predicament (definitely one I'll be featuring on my blog too). Thanks for the tip! And hurray for Jason Chin!! Me too about Casey! and Jason Chin too. We have Mr. Crum's at the store and it caught my eye. Now I'm more curious as to see what's it about. It is fun for sure! I love The Girl Who Drank the Moon. White Cat sounds really interesting. I'll definitely have to check them one out. I wish I was still teaching so I could read The Girl Who Drank the Moon outloud to a group. The Testing is my Sept. must read book! Hoping to get to it by the end of the month, just got in to a book jam here, lots to read! You're the second person to rave about Star-Crossed this week! I've gotten completely hooked on the Testing! 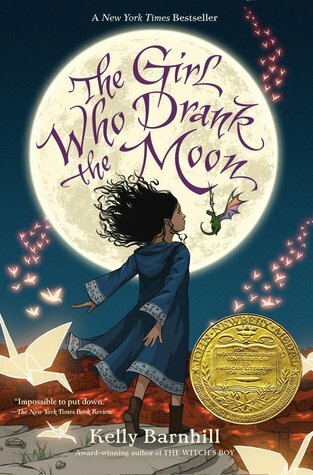 I shared The Girl Who Drank the Moon with my students last year and it kept many of them riveted throughout the whole book! It's an awesome book! Sounds like you're ready for a long winter with all those tomatoes! I'm so glad to here that about The Girl Who Drank the Moon. I suspect I will have tomatoes for two years! 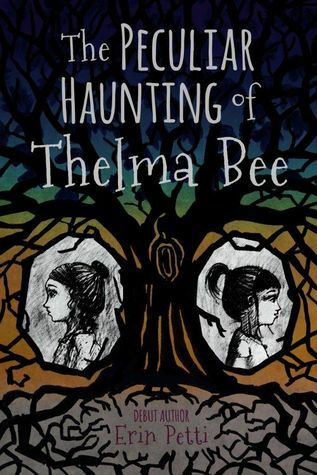 I have 3 5th grade students who love the Serafina series so I will have to read The Peculiar Haunting of Thelma Bee before recommending. Thanks so much! I hope they enjoy it, although I love Serafina more. 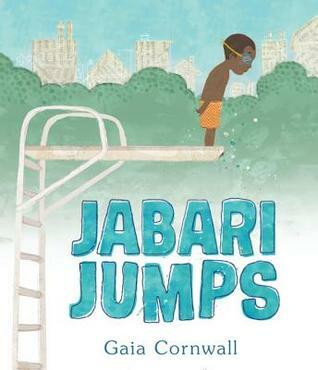 Jabari Jumps is just fabulous! That Neighbor Kid is also a treasure. I really loved The Girl Who Drank the Moon. I think it's challenging for elementary students, but some will appreciate it on their own. 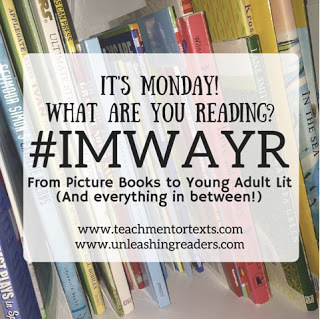 I have Indian Horse on my TBR. Indian Horse is such an important and powerful read. I know a few kids who would love The Girl Who Drank the Moon, but it won't achieve that kind of everyone must read this kind of success. Still, I adored it. I'll have to check out The Peculiar Haunting of Thelma Bee. I like a good creepy book. I don't! But I did enjoy this one. Gosh, you have so many good books here. 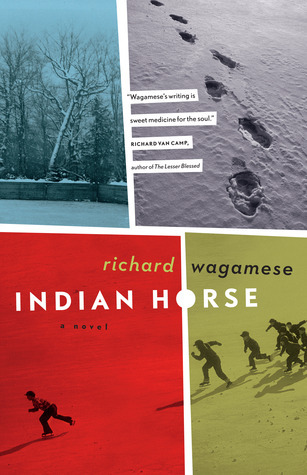 I am going to get a Richard Wagamese book immediately. Which do you recommend that I start with? Thanks for sharing! I've on,y read two of his books so far, but both were superb. I stated with One Native Life. It's autobiographical and in spite of being a hard read, is brilliantly optimistic. Indian Horse is a really hard read, kind of like bearing witness to the hell indigenous people have been through. I would suggest the other one first, but maybe that's because One Native Life is what I hope for all survivors. I really want to read The Girl Who Drank the Moon now, thanks to your review. I will try to find it in our library soonest. It is really a wonderful and surprising read Myra. I felt overwhelmed just reading about all those tomatoes! I've made jam before but that's about the extent of my capacity to preserve. I well remember my mother's marathon preserving days when I was little though. I made it about halfway through The Girl Who Drank the Moon and then I just... lost interest. It's beautifully written but I struggled to find reading momentum to keep going forward. 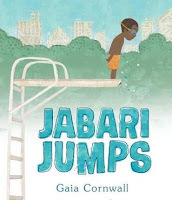 Jabari Jumps is one I ended up having to own. I want to share it with all my classes, even the ones that have nothing to do with Children's Lit! White Cat was a treat too--I really like Jesse Eisenberg's narration on the audiobook. I agree with you about Jesse Eisenberg's narration. The right narrator can really enhance a book. Canning and processing all these tomatoes has taken me back to my childhood when we used to work together as an extended family to process all kinds of fruits and vegetables for the winter.